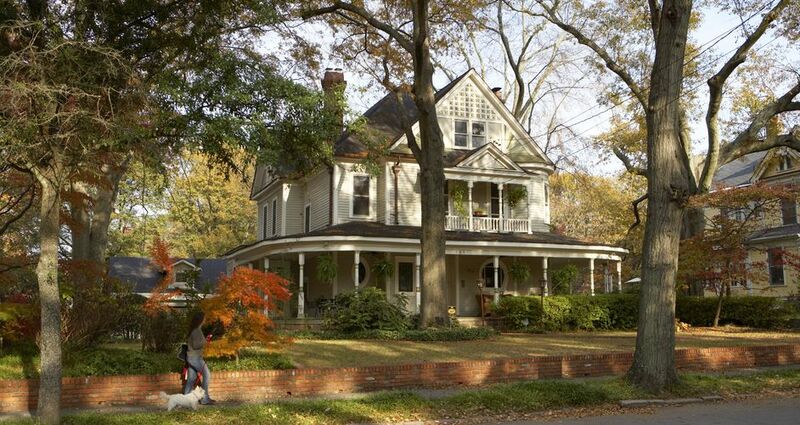 Inman Park is Atlanta's first planned garden suburb, perfectly blending historic 20th century Victorian mansions with flourishing shops and restaurants. Located approximately three miles northeast of downtown Atlanta, this established neighborhood boasts a peaceful yet thriving lifestyle. Use the one-day guide below to navigate this cosmopolitan hotspot. Breakfast: Begin your day with a Hungarian-style crepe at Julianna's Coffee & Crepes. Winner of "Best Crepe of Atlanta 2014" by Creative Loafing, Julianna’s uses local ingredients to create these tasty combinations. The Almighty sweet crepe is coated with Nutella and can be served with fresh strawberries or bananas topped with whipped cream. Morning: Embrace the natural scenery by taking a stroll or bicycle ride in Springvale Park, the center piece of the neighborhood. For a more in-depth experience, sign up with Atlanta Preservation Center for a neighborhood walking tour. Learn about the Victorian- period architecture and visit the opulent homes built by Coca-Cola magnates Asa Candler and Ernest Woodruff. Lunch: Head over to Krog Street Market to grab a midday meal at Fred’s Meat & Bread. Chef Todd Ginsberg’s acclaimed burgers and fries will leave your taste buds fulfilled. The Italian Grinder was named one of Creative Loafing’s “100 Dishes to Eat in Atlanta” for 2015. This house-baked hoagie roll is layered with a variety of meat like aged provolone and mortadella, topped with a creamy spread of aioli, veggies, and soaked in olive oil and red wine vinegar. Dinner: Eat imported prime steaks at Kevin Rathbun Steak. Housed in an old cotton warehouse, Kevin Rathbun Steak was ranked among Details Magazine’s Top Steakhouse in the U.S. Indulge in a succulent, dry-aged steak with creamy mashed potatoes and satisfy your sweet tooth with the vanilla bean crème brûlée. Night: Cap off the night at Barcelona Wine Bar and Restaurant. This communal restaurant serves Spanish-style small and large plates and a long-list of stylish wines. Grab a seat on the street patio while taking in the liveliness of the neighborhood. Visit www.atlanta.net/explore/neighborhoods to learn more about Inman Park and Atlanta’s other diverse neighborhoods.